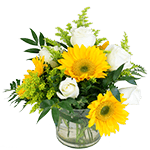 Harris, Arlene “Sissy”, age 72 of Germantown passed away October 10, 2018 at Astoria Health and Rehab. She was born in Philadelphia, PA to the late Orlyn and Dorothy (Scott) Harris but resided in the Miami Valley area most of her life. 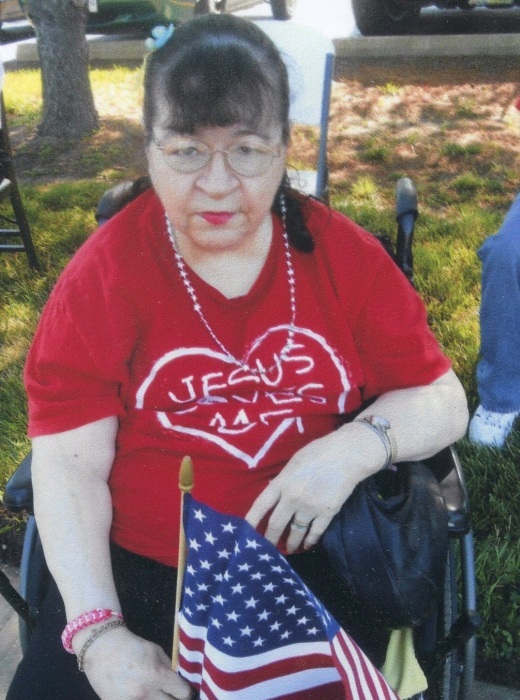 Arlene was a devoted Christian and member of Germantown Baptist Chapel. She loved to fellowship and eat with family and friends and made any event more interesting. She was very independent and was never afraid to tell you the truth. Sissy loved Elvis, Bingo, riding her moped, playing hide and seek, and partaking in Easter egg hunts. Sissy, was a beloved daughter, sister, and aunt with an eccentric and sparkling personality, who adored getting and giving, hugs and kisses. You were deeply loved and will forever be in our hearts, “Rosanna Danna”. She will be dearly missed, by all who knew her. Along with her parents she was preceded in death by her brother-in-law James Glossip, and nephew Robbie Glossip. She is survived by her brothers Orlyn Harris, Neal (Joy) Harris, sisters Bonnie Bridenbaugh, and Pam Glossip, also nieces and nephews Rita Glossip (Casey), Cathy (David) Ernst, Clayton Harris, Landon (Devan) Harris, Evan Harris, Annemarie Harris, Katilynn Harris, Shelly (Joey) Lewis, and Scott Bridenbaugh, great nieces and nephews Tory Sturgill, Taylor Martin, Hunter and Nicholas Ernst, Danielle (Chip) Denlinger, Cody and Carmen Lewis. Funeral services will be held on Monday, October 15, 2018 at 11:00AM at the Arpp, Root & Carter Funeral Home, 29 N Main St. Germantown with Pastor Andy Powell officiating, interment immediately following at Germantown Union Cemetery. The family will receive friends prior to the service beginning at 9:30am. Special thanks to her dear friend, Misty as well as friends and caregivers at Astoria Health and Rehab.